Avenged Sevenfold had to cancel its headlining tour due to vocal damage that M.Shadows sustained from a viral infection. "A blood blister has formed on my vocal folds and is preventing them from vibrating properly," he revealed at the time. "Luckily, doctors feel that three months of no singing and voice rest should get my cords back on track." The setback hasn't stopped the band from ringing in the fall in style, however: They have a massive new song, "Mad Hatter," written for Call of Duty: Black Ops 4, and an imminent new EP, Black Reign (available now here), featuring the four tracks they've contributed to the Call of Duty franchise over the years. 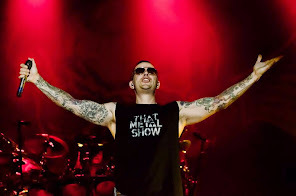 M.Shadows is excited about it all and wants to talk about it — the only problem is that he's still in the period of doctor-mandated voice rest. 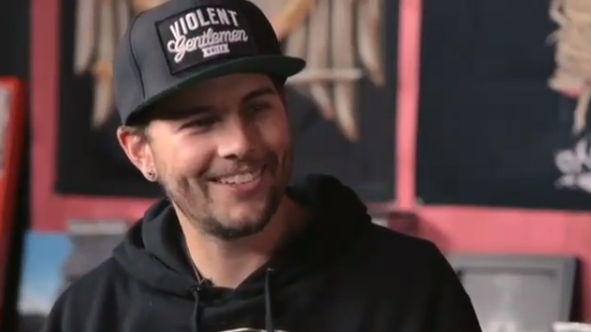 Fortunately, M.Shadows is allowed to respond to emails and Revolver Magazine sent him some questions. You can read some excerpts below.